Watch CRISPR Do Its Thing « Adafruit Industries – Makers, hackers, artists, designers and engineers! Forget about the generic stock art that shows scissors cutting chunks of DNA, because researchers have recorded actual video of CRISPR in action. CRISPR is a powerful gene-editing tool that allows researchers to cut and paste snippets of DNA to make targeted changes to a living organism’s genome. It’s a method that’s fast and easy, and it has ushered in a new era of customized life. Scientists have used the technique to breed mosquitoes that resistant to the malaria virus, develop treatments for muscular dystrophy, grow pig organs suitable for humans, cure blindness and invent new drugs—all this without ever actually seeing it in action. But that all changed thanks to Japanese researcher Osamu Nureki, who, along with his colleagues, recorded video of CRISPR chopping a strand of DNA into two pieces. Nureki debuted the video in June before a crowd of scientists gathered for a conference in Big Sky, Montana. Scientists tend to mute their emotions when it comes to scrutinizing results in their field of study, but when Nureki hit play, gasps rippled through the crowd. 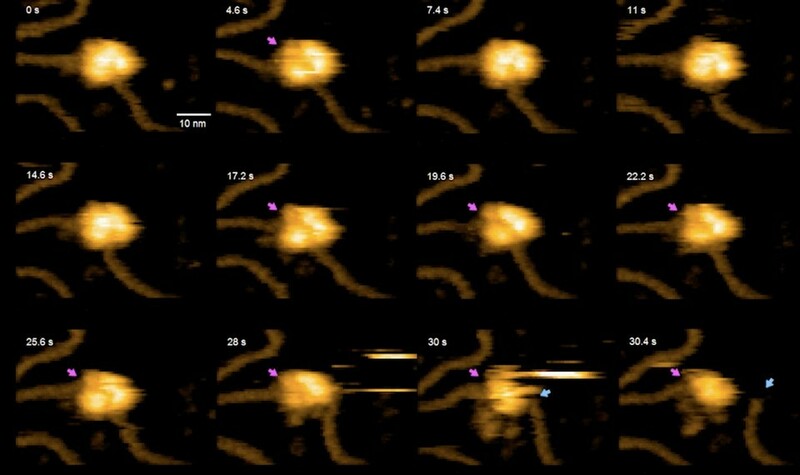 The researchers used a technique called high-speed atomic-force microscopy, which creates images using a tiny needle that slides back and forth over a microscopic object to infer its shape. The needle moves incredibly fast, making it possible to create rather fluid movies. They published complete details of their molecular cinematography in the journal Nature Communications. The video is rather austere and blurry, but it’s easy to see the moment when that DNA strand breaks apart. And in its simplicity, there’s something incredibly profound. Right there, before our eyes, is how researchers are reengineering life, as we know it.